Booking Lana Del Rey will cause a storm at your special event! We are a booking agent for Lana Del Rey, and can arrange for her to perform for your guests. Lana Del Rey broke through with the release of her single ‘Video Games’ in 2011. Since then, Lana’s offstage identity has been the subject of much discussion and intrigue. Lana Del Rey released an EP in 2008 entitled ‘Kill Kill’ and in January 2010, released a full length album. The album was entitled Lana Del Rey but at the time, she was recording under her own name, Lizzy Grant. In June 2011, Lana Del Rey signed to Stranger Records, who are also home to Thomas Tantrum and Penguin Prison. However, when her debut single, ‘Video Games’ was released, she then signed to Interscope Records. She said at the time that ‘Video Games’ was her favourite track, hence posting it online but it was not originally intended to be the lead single. 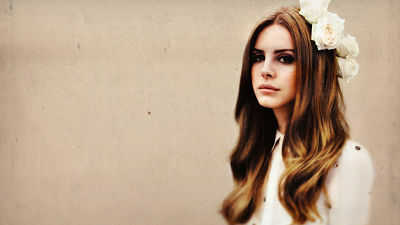 Media attention surrounding Lana Del Rey began to snowball and by the end of October 2011, Q magazine announced that she would be the recipient of their ‘Next Big Thing’ award. She promoted the single with a number of live performances, including playing the Bowery Ballroom in New York and on MTV Push. Born to Die, the debut album recorded under the name Lana Del Rey was released in January 2012, after the title track became the second single. On 14th January, she made her debut live US TV appearance on Saturday Night Live. At the start of 2012, Lana Del Rey had already been nominated for a MTV Brand New award and the International Breakthrough Act at the 2012 BRIT Awards. Lana Del Rey’s third album, titled ‘Ultraviolence’ was released in 2014 and became her first album to reach no.1 in the US charts.The following year Del Rey went on tour accompanied by Courtney Love and Grimes, later the same year she released her fourth studio album called ‘Honeymoon’. Alongside ‘Ultraviolence’ it recieved great acclaim from the critics. Lana Del Rey’s most recent album was released in 2017, titled ‘Lust for Life’, this also received very positive critical acclaim and was her second album to reach no. 1 in the US as well as ranking in the top ten of nearly every other country it was released in. Recently Lana Del Rey announced her upcoming tour, named ‘LA to the Moon’, to further promote her album. It is scheduled to begin January 2018. Overall Lana Del Rey has amassed a number of nominations and awards, such as the Q Award for “Best New Thing”, a GQ Award for “Woman of the Year”, two BRIT Awards for “International Breakthrough Act” and “International Female Solo Artist”, and an EMA for “Best Alternative Act”. Furthermore she has been nominated for three Grammys, numerous NME awards and MTV Video Music Awards. Lana Del Rey has in total won 16 awards and had 54 nominations. As a booking agent for Lana Del Rey we can organise for her to perform at your event. To hire Lana Del Rey call Contraband Events as we can make it happen. We are booking agents for a huge selection of famous musicians to hire, and we can recommend the best artists for your entertainment. Lana Del Rey can be booked to play at your private or corporate event through Contraband International. Make us your preferred booking agent.